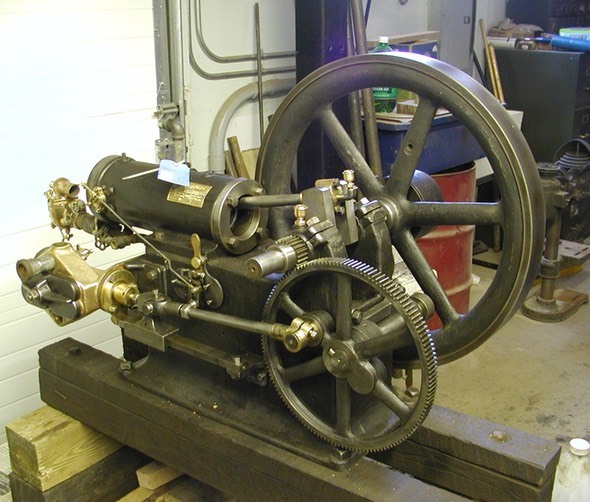 A Hartig Standard Gas Engine was donated to CAMA some years back. Jim Daly did a good job of cleaning it up and we have had it on display in the Industrial Hall. 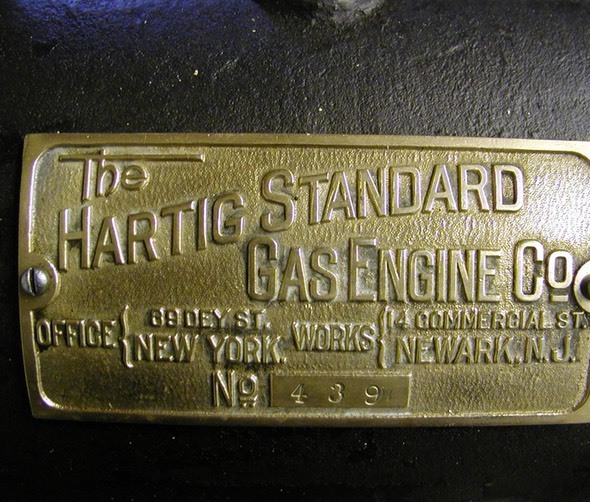 The Hartig Standard Gas Engine Co. originally had it’s manufacturing facility in Newwark, NJ, with offices in New York City. 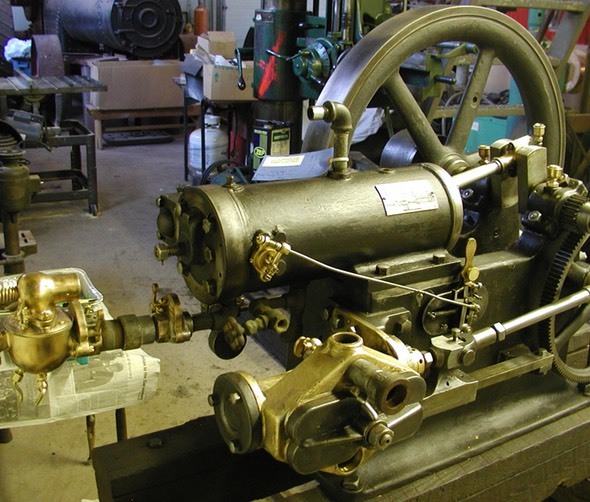 The Hartig Standard Gas Engine Co. is listed in a 1907 New York directory as being located at 75 Fulton St. Henry J. Hartig of Brooklyn, New York designed his own engines in the late 1800’s. He held a number of U.S. Patents for his unique engine and governor designs. 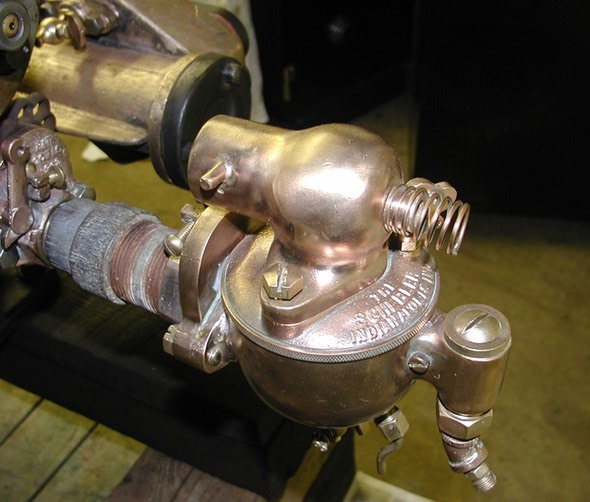 His earlier engines were of the vertical “Otto Cycle” type, however our example is a horizontal style with an ignitor ignition. 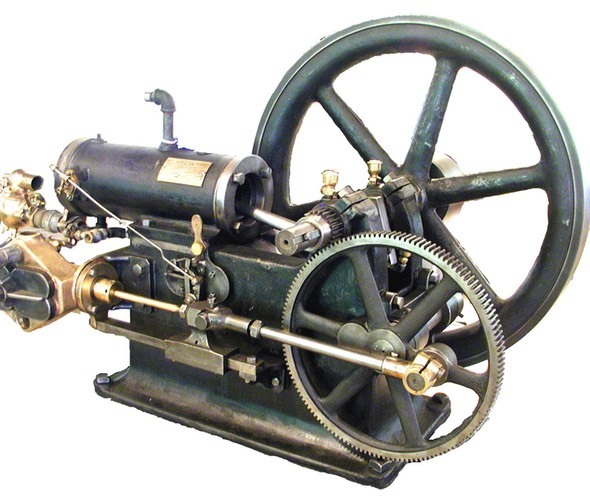 Engines prior to 1893 were manufactured in Newark, NJ, after which, manufacturing was moved to New York. 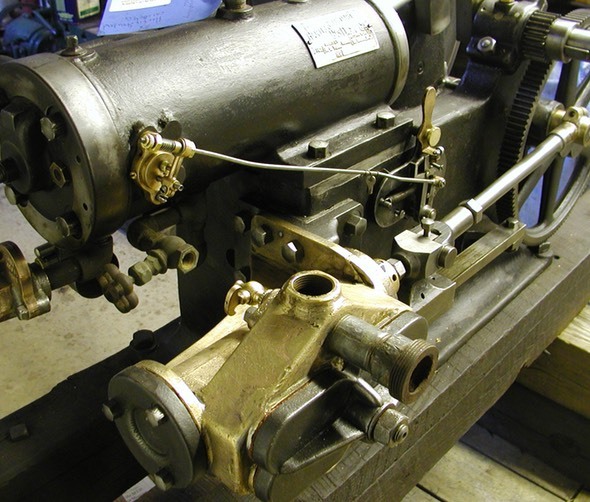 Our Hartig Engine is one of the earliest gasoline engines in our collection. Hartig Standard was known for their high degree of workmanship in construction. Our example can attest to that. Our particular engine spent it’s whole working career in the Poconos, tucked away in a pump house, pumping water to a small resort. We are not certain of it’s age, however its nameplate indicates it was made in Newark (<1893?). It does not have its original carburetor having been fitted at some point with a Schebler carb (Indianapolis). 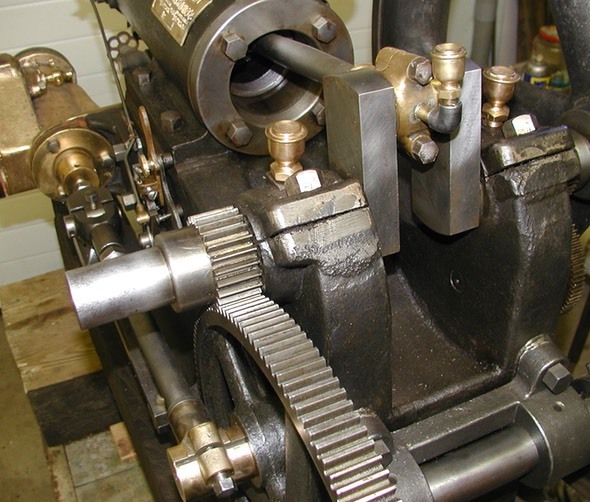 It is interesting that the water pump (cast bronze construction, providing cooling to the jacketed cylinder) is attached directly to the engine frame and gear driven off the crank (very expensive to manufacture). 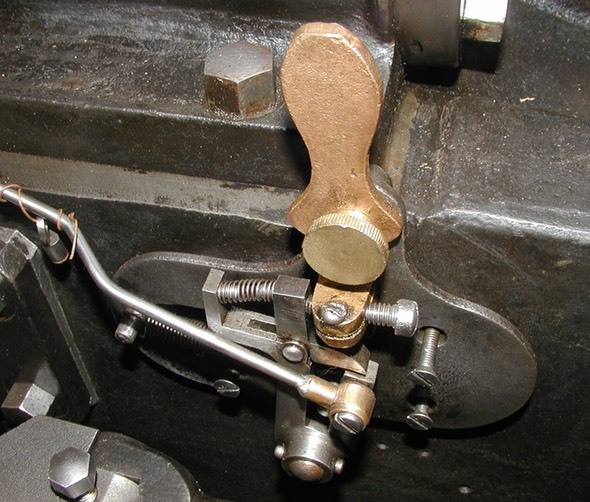 The engine has an interesting non-reciprocating, pendulum/inertia "hit or miss” governor that consists of a teardrop shaped weight that swivels, hanging below a side-mounted rod that moves back and forth with the engine (rod driven off a geared eccentric powered by the crankshaft). If the engine is at proper speed, the weight can move back and forth in time with the shaft, triggering actuation of the exhaust valve on each exhaust stroke. 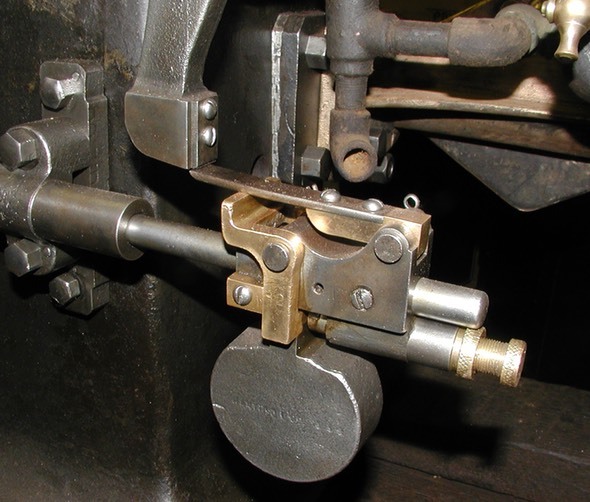 If the engine is over-revving, the arm is moving faster, the mass of the hanging weight can’t keep up with the movement of the rod causing it to pivot against an adjustable spring, dropping the exhaust valve actuation finger out of contact with the valve mechanism, thereby not opening the exhaust valve. It appears from the governor’s action, that the “miss” function of the governor is while the engine is under compression.